All of the checks you need from Preflight to Securing are here, including an extensive emergency section. 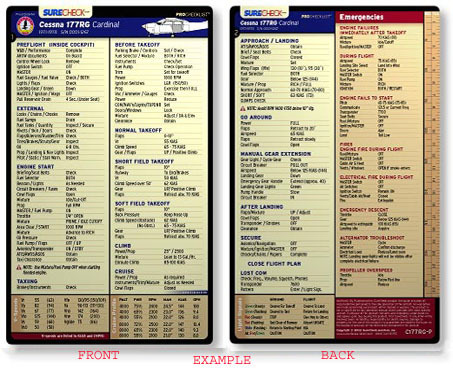 Our award-winning design makes information understandable and readable, while neatly fitting in a handy, knee-board-sized format. Easy to use scale ruler for TAC and sectional charts. This product was added to our catalog on Thursday 17 July, 2008.